There was a time in my life when it felt life everyone else had the handbook for my life except me. It was difficult to make positive changes and I was constantly stressed out. My health of course suffered. I tiptoed into the world of alternative healing to find answers and luckily someone asked (rather insisted) i watch a video they handed me. It was Chloe Wordsworth explaining her model of holographic repatterning followed by a captivating demonstration. It was a term that caught my attention (as in :”WHAT?? ?”) and though it took several attempts to watch beginning to end was enough to get me studying with Chloe. I have never looked back. The term holographic repatterning was hard to explain to most people who like me just wanted life to be fixed, so eventually Chloe change the name of her healing system to Resonance Repatterning – also a fitting description. Recently, Chloe presented the theories of her system to a conference of Integrative Medicine Doctors where it was finally well received if only for the new research that supports her intuitive approach to healing. Ever learning and growing Chloe has put her materials for each seminar online in homestudy webinars. Her presentation to the medical group including a deeper explanation of the holographic model of healing may be viewed for free! You need to sign up for an account and hours of Chloe Wordsworth’s enlightening explanations for good health and healing are available. 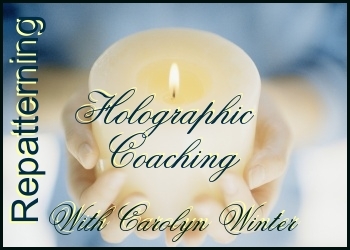 Sign up for the trial version of the Energetics of Relationship home study in particular and noodle through it to hear her explanation of THE HOLOGRAM AND CONSCIOUSNESS (Scroll down the page to view the free video titles). If you have never experienced or heard of Holographic Repatterning you too will feel like you have just recovered the operating manual for your life! ENJOY!!! 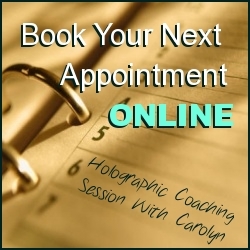 PS – if you thought you would like to learn the system for yourself.. the next live online training series that I coordinate for teacher Ardis Ozborn begins begins February 14th ♥. I have been using this system for over 20 years and everyday is still different from the last. The learning and discovery is continuous with this system of healing.